Ahhh Paris. 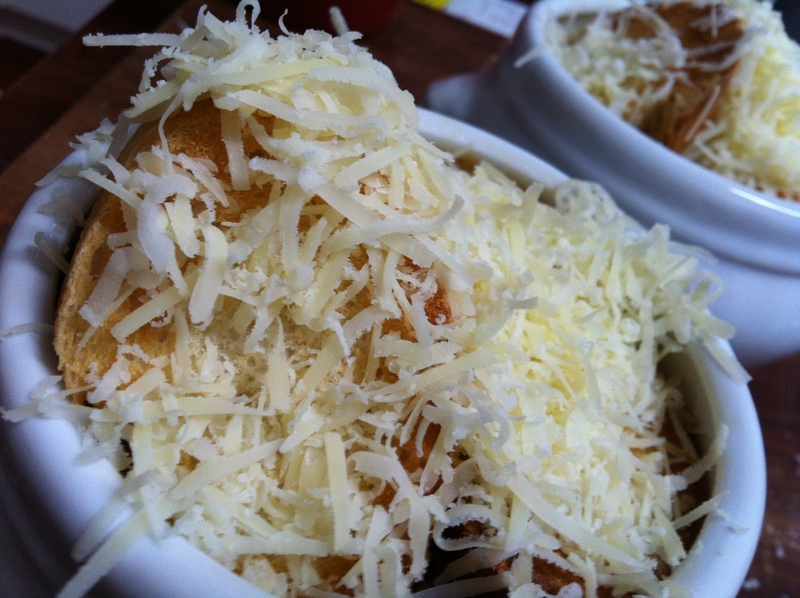 Who has not visited Paris and indulged in a little French Onion Soup, garnished with melting, oozing Gruyère cheese and crusty baguette? 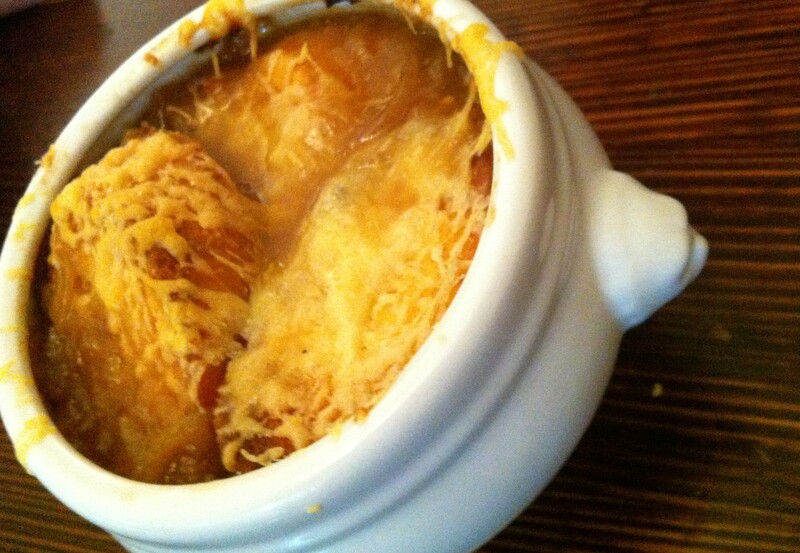 It is said that French Onion Soup came into being as a way for the early morning market vendors to warm their hands during the chilly early hours of market day. Whatever the reason for its invention, it is a hearty, soul warming brew that can rid the world of all ills. 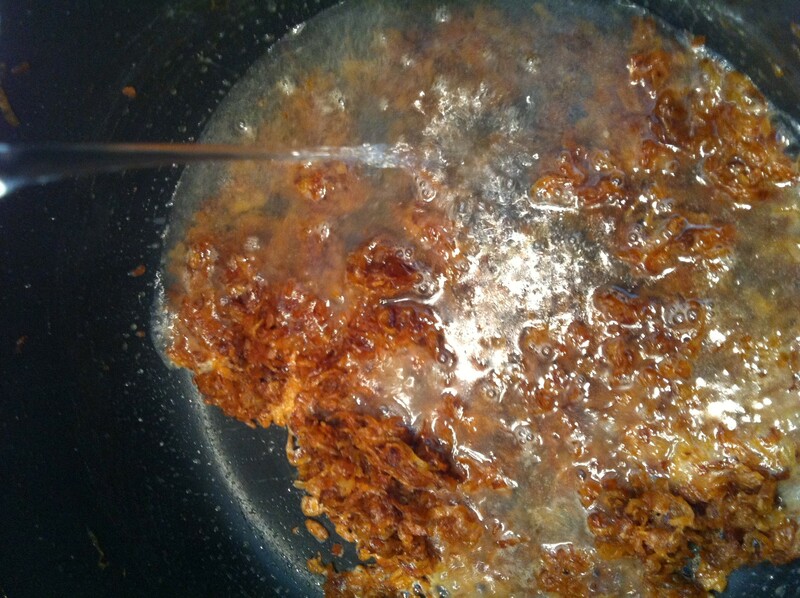 Add the onions and butter to a large, heavy based stock pot and cook over a low to medium heat, stirring until a deep golden colour and nicely caramelised. Note: This will take anywhere from 20-35 minutes. Don’t leave the pot while you are cooking down your onions. If the onions burn you have no choice but to start over. Burned onions will impart a bitter flavour to your soup. 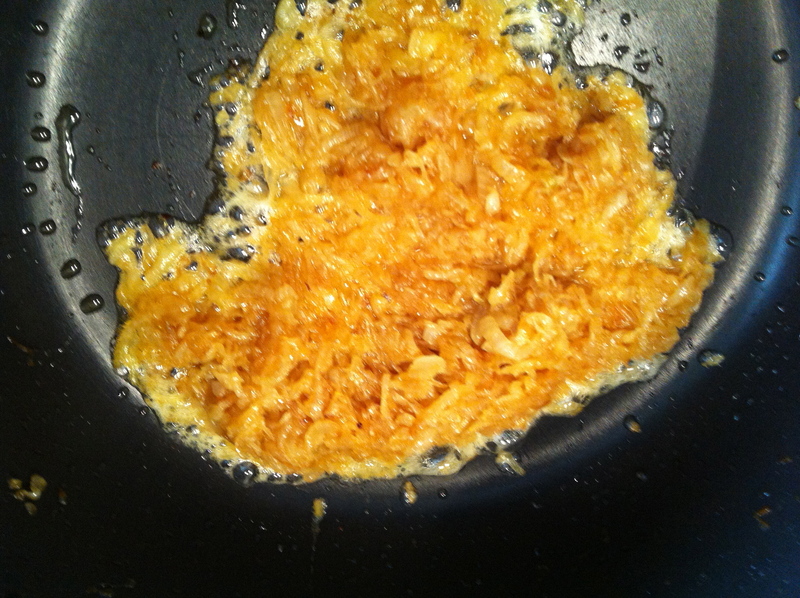 I’ve included a few photos here so you can see the gradual caramelisation of the onions. I could probably have taken mine further, to a deeper brown, but I’m impatient. It’s important to know though that this step is the most crucial in an otherwise simple dish. 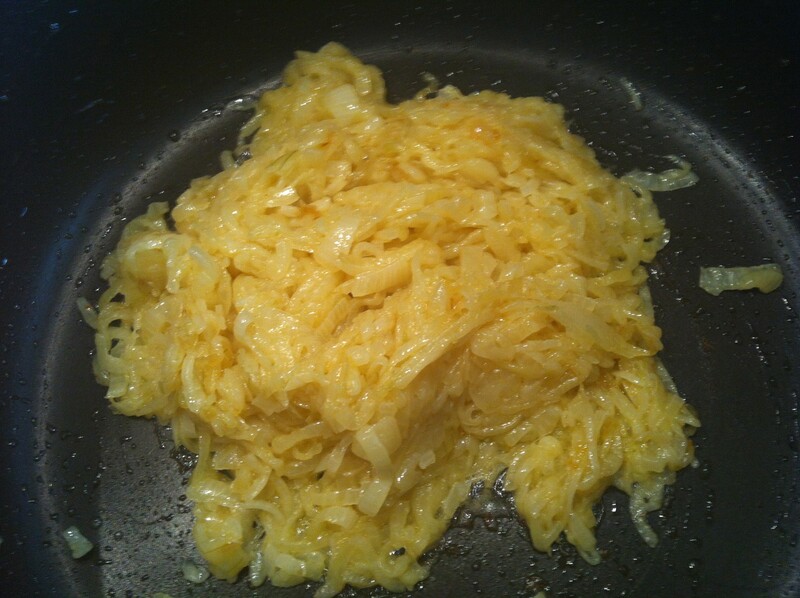 There is no stock to be added, so all the flavour will come from how well you caramelise your onions. Be prepared to be patient! 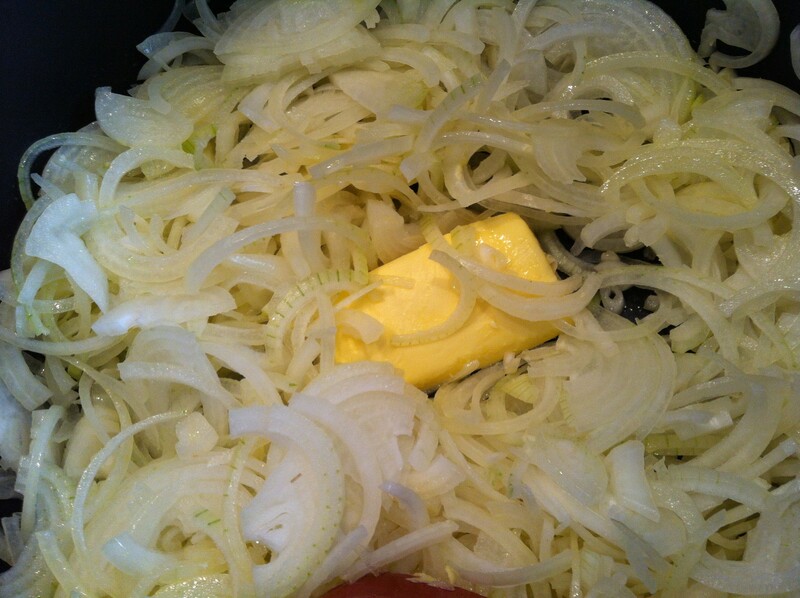 When the onions are a deep golden brown add in the flour and stir for a few seconds to distribute and cook off. Add the wine and the water and stir. Bring to the boil and then turn down to simmer for about 25 minutes. Then check the seasoning. While the soup is simmering, cut your baguette and lightly toast both sides under the grill. Pre heat the oven to 200 degrees celsius. Ladel the soup into oven safe serving bowls, leaving about an inch breathing space at the top. Cover with baguette slices and grated Gruyère before placing in the oven to 5 minutes or so until the cheese is bubbling and golden. 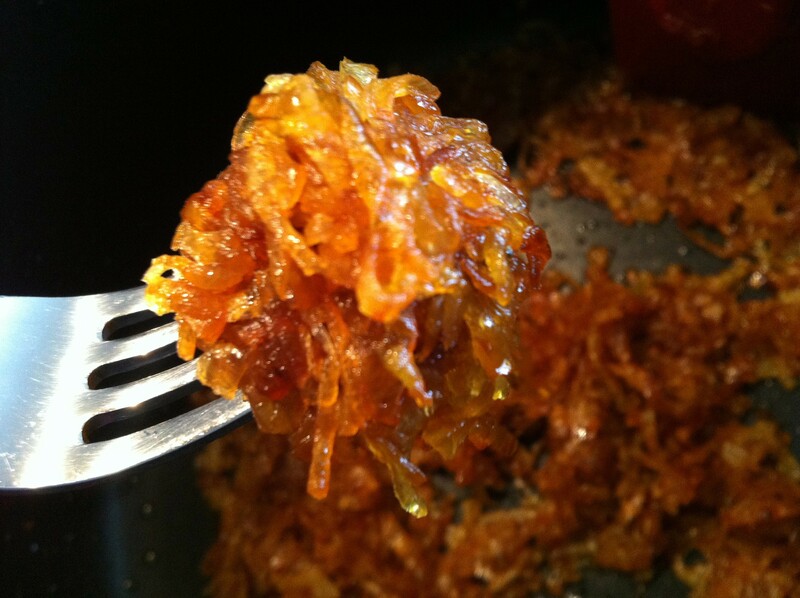 Serve bubbling hot from the oven and enjoy!